Shea Theodore is staying in Las Vegas. 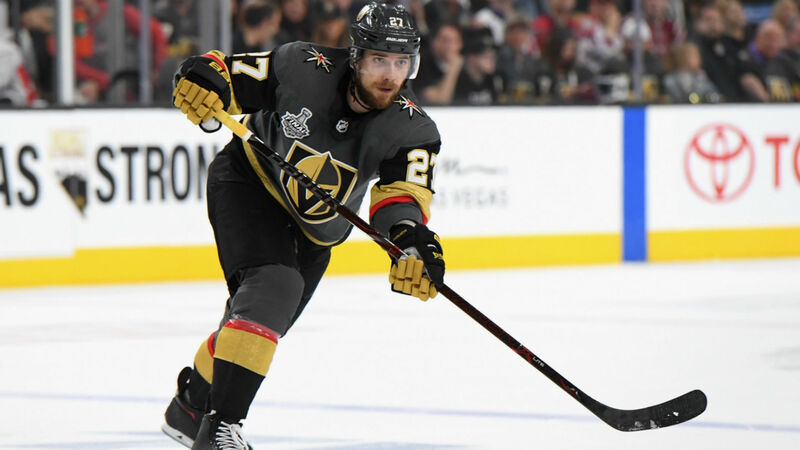 The Golden Knights on Tuesday announced they have re-signed the defenseman to a seven-year contract that keeps him with the team through the 2024-25 season and carries an average annual value of $5.2 million. Theodore, now the highest-paid defenseman and fourth-highest paid player on the team, expressed his excitement on Twitter after the deal was done. Looking forward to sticking around Vegas for 7 more years!!!? Can’t wait to get season 2 started! “We’re happy to have everybody done now,” general manager George McPhee said Monday after the Golden Knights’ 5-3 preseason loss to the Avalanche, via the Las Vegas Review-Journal. “Sometimes it takes a little longer than you anticipated. Basically the issues were they wanted to go shorter term and we wanted longer term. You just have to get the numbers right on those deals. Theodore, 23, logged six goals and 29 points in 61 games last season while adding another 10 points during the team’s historic Stanley Cup Final run before falling to the Capitals.